Today I have one of my favourite bloggers ever sharing her fine city of Dublin. Settle in and let Lorraine from John, It's Only Makeup (be sure to check out her wonderful blog and follow her on Twitter too @Lorrrrrrrrraine) share all some wonderful beauty haunts and plenty of shopping advice. Dublin is relatively small city, which means our best shops are never too far apart from one another. You can be knee deep in the chemist's bargain bin once second, and pressing your nose to the glass at the Chanel counter the next. Arnotts, Henry Street - As soon as Arnotts is on the horizon, my boyfriend will ask if I want to go in and smell things (in as bright a tone a man who has resigned himself to shuffling around soap-stacked shelves can muster). I do, invariably. 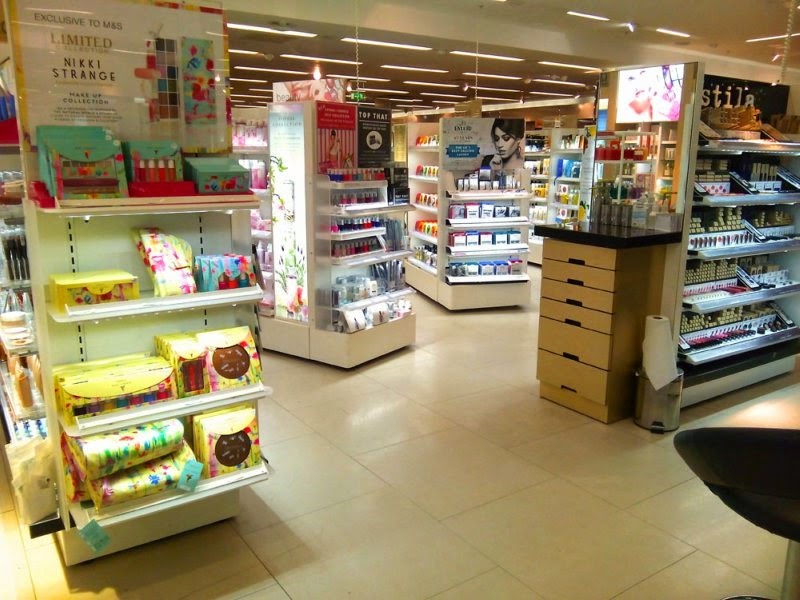 See, the beauty hall has your typical brands, but the sprawling fragrance and body care section sets it apart from the rest of the pack. Luxe, niche and more affordable ranges are stocked on try-me friendly displays. Staff are always around to help, but they never pester, pressure or side-eye when you get enthused with the perfume pumps. It's bliss. Marks and Spencer Beauty Hall, Henry Street - This might be my favourite. The displays are immaculate, the wealth of brands available is superb, and the atmosphere is spa-like. 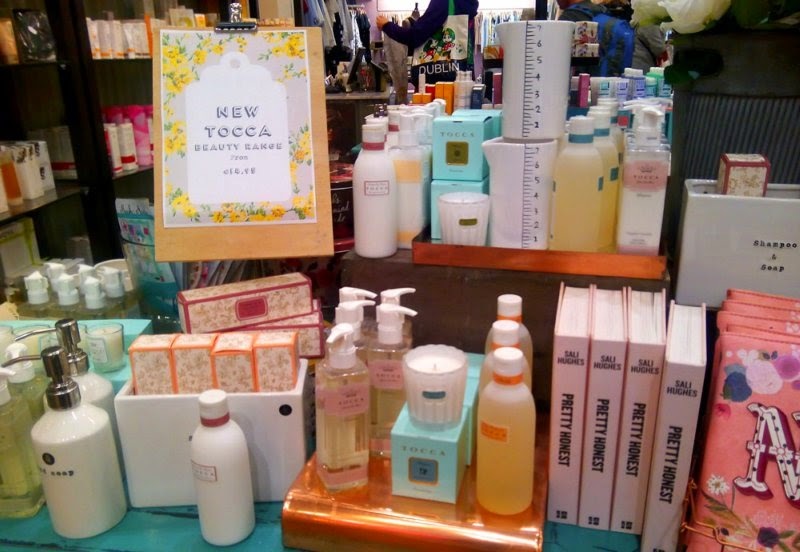 M&S is best for skin care, body care and home fragrance, but there are few sold cosmetic brands (one of our few Stila stockists!) that balance it out. Brown Thomas, Grafton Street - This is the fanciest of the bunch, for better or for worse. Would I feel judged if I went here in tracksuit bottoms and a top-knot? Yes. 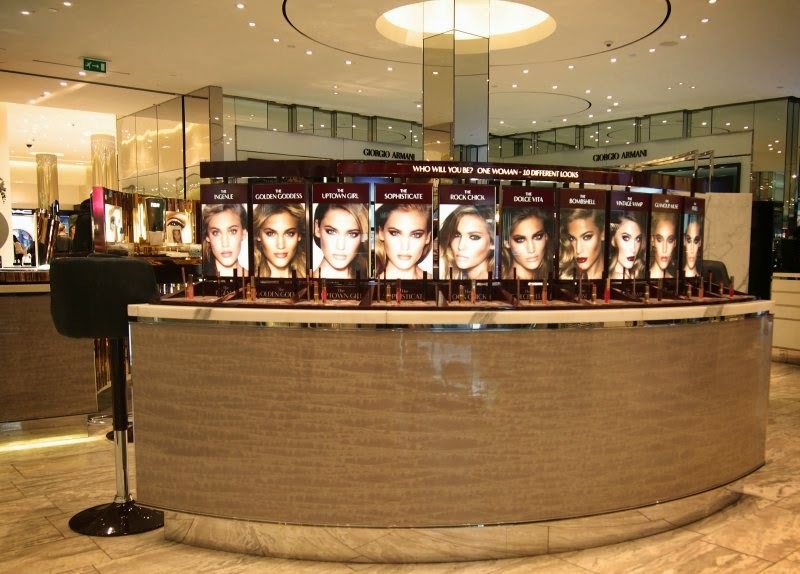 Does anywhere else stock Tom Ford, Charlotte Tilbury or Nars? No. So, there you have it. If you're looking for luxury, Brown Thomas should be top of your list. Debenhams, Henry Street - Based on my gut feeling and absolutely no statistics or reports, I think Debenhams is the best department store for landing a bargain. Sales pop up regularly, and many counters have little baskets of items that have been reduced. It's big, it's busy and stocks all the usual suspects. Clerys, O'Connell Street - If you can't hack hustle and bustle, stay off the high street and camp in Clerys. It's not beside any other major stores and doesn't have its own parking, so us natives tend to forget about it. There's brand overlap from the other department stores, but also an onsite chemist that stocks NYX, Sleek, Essence, Catrice and more. Muji, Chatnam Street - Storage, the love of my/every beauty blogger's life. Muji is your man for those acrylic drawers, pots and shelves. Alright, so they might not be suitcase friendly, but you can still have a look. 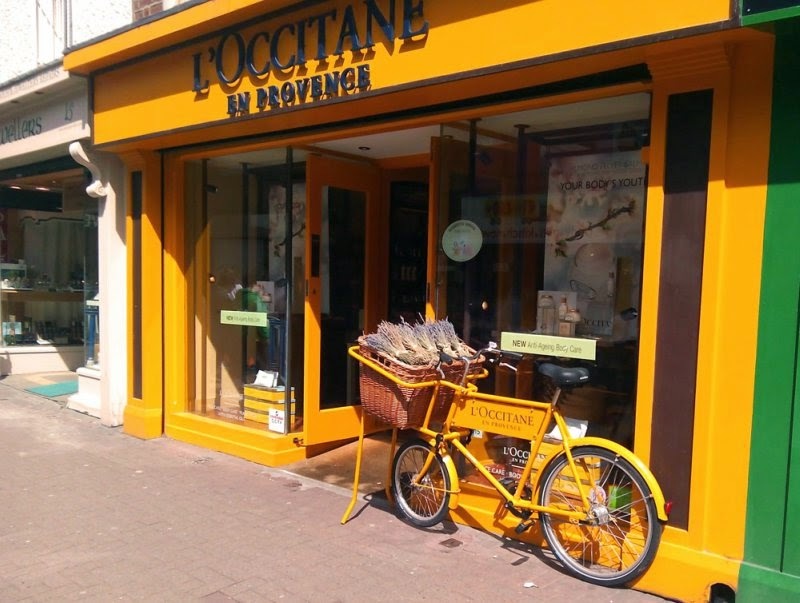 L'Occitane, Upper Liffey Street - L'Occitane specialises in fragrance and skin care of the swish French variety. This store is just of one of our two main shopping streets, so it's easy to get to but a little less crowded. 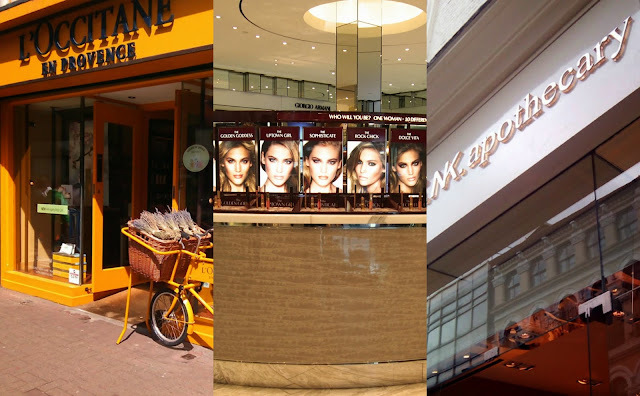 Make Up Forever, Clarendon Street - Yep, we've got a MUFE store! This one is a bit of a trade secret and is on a side street, so you won't be shoved or jostled away from the lipstick display. Word of warning - stock tends to be limited, so you might want to ring ahead and have items put on hold if you're sure of what you want. Inglot, South Anne Street - Inglot offers incredible value. The freedom system allows you to fill empty palettes with cream or powder products, and prices are really fair. There are two in the city centre, but this new one on South Anne Street is the only standalone store. It's not listed on the official website, but I promise, it's there! Avoca, Suffolk Street - 99% of fancy soaps in Ireland are in Avoca's stockroom. Or, y'know, something like that. This shop is probably most popular for the cake in its basement café, but I head in for the quirky cosmetic bags. On my last visit, I very nearly parted with 30 euro's for a envelope-style one with a Dear John letter printed on the front. Topshop, St. Stephen's Green - This Topshop is about twenty seconds away from Grafton Street, the busiest row of shops in the country, but you'd never think it. First off, I think people forget that it's there and secondly, it's huge. The beauty section is on the bottom floor. You'll find the full Topshop Beauty range, as well as some kinda novelty stuff like flavoured balms and weird hair brushes. Boots, Jervis Street - Truth be told, none of our central Boots stores are great. They lack the luxe counters that you'll find in places like Liffey Valley or Blanchardstown. Of the city brigade, the one in the Jervis Shopping Centre has the most brands; L'Oreal, Rimmel, Max Factor, Bourjois, Barry M, Collection, Soap & Glory and more. There's a new nail aisle that stocks Butter London, Essie, Nails Inc, Mavla and more salon brands. 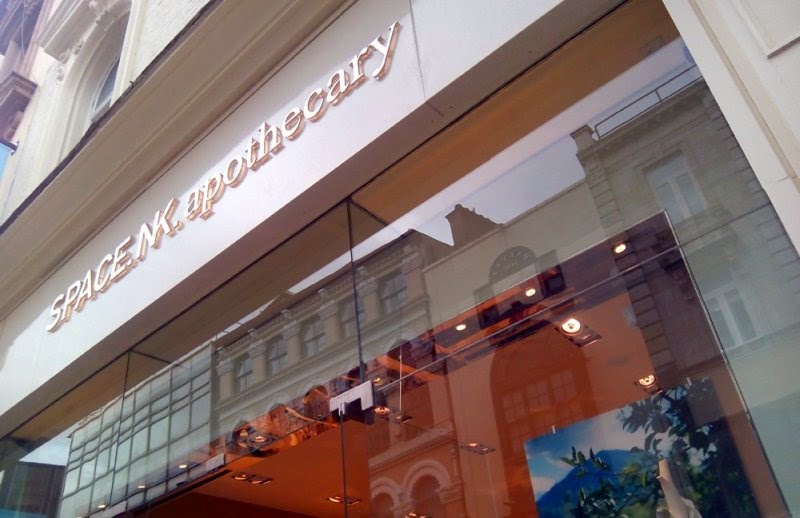 Space NK, Grafton Street - It's a lovely store, but the draw is its exclusives. This is the only place in the city centre that you'll find Kevin Aucoin, Lipstick Queen, By Terry, Hourglass, Becca, Oskia, Sarah Chapman, and about a zillion more amazing brands. The Body Shop, Upper Liffey Street - The Body Shop has branches all over Dublin, but this smaller store on Upper Liffey Street is my favourite. Like a lot of my picks (my hermit flag is really flying), it's quieter, more tidy but still centrally located. I don't think there'd be room for a mouse's fart in your suitcase after visiting that lot, but do let me know if you've got any favourite spots in Dublin City! What an amazing idea! Would love to participate! This is such a great idea! Can't wait to see what other cities look like as beauty destinations. Great guide - now I just have to go haha! Thank you for such a lovely post on the beauty destinations of Dublin. I would really love to go there. Such a long way from Australia. I have a feeling that visiting the beauty haunts is a trip with your girlfriends. Great post Lorraine! I think you got pretty much everywhere in! You are so right about there being no great Boots in city centre. They all are lacking something. I love this post! My mum and I were thinking about having a girly weekend away before my wedding to Dublin and this is just the sort of post I've been looking for!